Everyone is busy planning a grand new world to come after the war. Sometimes it is a grand new world for Britain and her allies, and sometimes it is a grand new world for the world—a World-State with a World -language and a World-Religion. Oddly enough, it is easy to plan for the world. The larger the scope the more airy the visions. Narrow the scope, say to Ireland, or to Labour, or to Coal, and the visions vanish, leaving nothing but grim facts, which must be faced and definitely settled. Small scale planning can do nothing with those vast and pleasing delusions called the “The People” or “The Workers”; it has to deal, not with abstractions, but with actual men and women. Now when you consider the history of man—and you may choose any ages in any regions—you find that he remains a curiously static figure. Circumstances may appear to be totally different; man remains almost totally unchanged. God back to the Homeric epics with their semi-human deities and their curious rites, and you find in their characters the kind of persons you can recognize to-day. Go back to the less ancient days of the Platonic dialogues, and you find the interlocutors resembling people you have known—perhaps you own teachers! So, without multiplying instances, we may feel sure that, however great the calamities which have afflicted him, man remains, in all essential, what he has always been in historic times. This rather lengthy prologue is meant to strengthen an assertion I propose to make, namely, that man is a creature who worships. His ways of worship have been many, and may not always have been recognized by him as worship; nevertheless, he worships. There are periods in which the sense of worship is weak—the present age is one of them—but the desire returns, because it is a necessity. And even in periods of reactions against worship, there is worship than we suppose. The Bishop of Chelmsford recently declared, not without vehemence, that he did not believe a word of the assertion, constantly made, that deep down in their hearts the people of the country were very religious; on the contrary, the Churches were up against a great mass of ignorance and unbelief. Well, one might ask the Bishop what the Churches are for? Who is responsible for this great mass of ignorance and unbelief? Who has left duties undone and spiritual leadership unassumed? Has anyone attacked this great mass of ignorance and unbelief as John Wesley attacked it, or as William Booth attacked it? It is not the truth that the clergy (both the Free and the Established Churches) have let their people gradually slip away by shirking their difficult and onerous duty? Whether the people of this country are very religious or not is a question I have no competence to answer. But I am sure that the people of the country are very responsive to the religious appeal, when it is boldly made to them by someone who is afraid to speak out. And by the religious appeal I do not mean the humanitarian appeal, or the ethical appeal, or the mystical appeal. I mean the truly religious appeal of belief in God, with all the obligations of that belief. But the one thing needful is that the preacher must firmly believe what he teaches. He cannot transmit a belief that he does not possess. He must not do what so many have done lately, namely rely upon “Lay” activities, such as clubs, societies and so forth, to attract congregations, nor must he hope much from broadcast talks on “God and the Modern World”, explaining that God is not exactly God, but a sort of Term of Reference. That is the way to undermine belief. The people do not despise belief; but they certainly do despise preachers who are afraid of their belief. When men of importance like the Bishop of Chelmsford declare that the Churches are up against a great mass of ignorance and unbelief, I am always astonished that the Churches do not cease their vain laments and make a frontal attack on these evils by resorting to the hymns that fortified the faith of our forefathers. People will listen to a hymn, and even join in the singing, when they are unwilling to attend a formal service. Why not have regular “sing-songs” of hymns? When times are better, go out into the field and the streets and sing there. If the people will not come to you, you must go to the people. You must do something beyond publicly deploring the prevalence of ignorance and unbelief; you must put on the whole armour of God and go out into battle. John Wesley, High Churchman as he was, greatly disliked field-preaching; but he had to come to it. The constant shirking of religious duty by all concerned find notable expression in what is called the “modern” hymn, that, passages of Shelley or Tennyson of Browning or Rupert Brooke served up with hymn-like tunes. Such things would not exist if some of the clergy did not approve of them. When I studied that lasted volume of these so-called hymns, I exclaimed, “What a pity? They’ve left out ‘D’ye ken John Peel’”. Certainly, ‘D’ye ken John Peel’ is just as much of a hymn as many of those included. Do the clergy really understand the harm they are doing when they offer their congregations as hymns passages of verse without a trace or religious appeal, without a trace of Christian doctrine and duty? Instead of deploring the vast mass of ignorance and unbelief in the people of this country, the Bishop of Chelmsford might usefully begin an inquiry into the standard of religious knowledge among the clergy. You will at once say that such a hymn would be totally unsuitable for any fashionable or respectable church, and you would be right. But I am not thinking at the moment of such congregations; I am thinking of those almost illiterate people, very many in number, who go to no church at all, and to whom it is the special duty of the clergy to bring knowledge of religion. To them that simple hymn conveys a definite and perpetually valid religious idea, namely, that man is unceasingly assailed by the forces of evil and that he can be strengthened against defeat by faith in the Redeemer. All hymns do not appeal to all classes of people. There must be some of lowly, but definitely religious appeal. How fast they fade away! This is certainly much prettier that our rough first example. It has choice words and poetic diction, and may even be taken by fashionable and respectable congregations as poetry itself, match the china and the pictures as the other certainly does not. But to my feeling it has no validity whatever as a hymn; and, as set by Stainer to a pleasing run with a waltz refrain, it is nothing but a sentiment song with a flavour of piety. What religious idea does it convey? It belongs to the order of Mrs. Hemans’s “The Better Land”; but Mrs Hemans never supposed that “The Better Land” was a hymn. We have many pious poems, some of the highest poetic value and some of no value at all. Between the pious poem and the hymn is a great distinction, that a hymn is part of public worship and should enable a congregation to affirm its faith and seek a collective blessing. This is its primary purpose. Hymns can also be used privately as if they were religious poems; but not all religious poems can be used as hymns. Perhaps the most beautiful of our religious poems is George Herbert’s “Love bade me welcome”; but this could not possibly be sung as a hymn. No! We must keep in mind that fact that a hymn is an act of public worship and that its very publicity has a value, because it opens the timid mouths and moves the timid tongues. People will sing together when they are afraid to sing or speak alone. They cheer each other up, for they become conscious of community and continuity of feeling. Take advantage of that, and let them catch the infection of faith through right words fitted to right tunes. Who can sing “All hail the power of Jesu’s name” to the one and only tune, MILES LANE, without begin uplifted in spirit to God! So we must be as careful of the tunes and of the words. “Come unto me, ye weary”, by Chatterton Dix, is a popular hymn; but as set to “an English traditional melody” in The English Hymnal it is almost grotesquely unsingable. There was a school of mediaevalists who followed hard upon Cecil Sharp’s work in the collection of folk-songs and who trained to replace too “popular” tunes by “traditional” melodies. They went too far. They forgot that popular tunes are also traditional—that a hymn once firmly associated with a tune is not to be divided from it without danger. I will illustrate this really important matter by recalling the fate of two famous hymns with traditional tunes, though the tradition is not very old. They are, first “Eternal Father, strong to save,” and second “Onward, Christian soldiers.” The first was written by W. Whiting in 1860 and was printed after some revision in the first editions of Hymns Ancient and Modern in 1861 to a tune called MELITA composed by J. B. Dykes. It instantly became popular. There had been no special hymn for those at sea, and “Eternal Father” to the tune of Dykes seems to provide exactly what was needed. But at the dawn of the twentieth century Dykes was frowned upon by the neo-mediaevalists as a mid-Victorian sentimentalist, and his tunes were regard with grave disapproval. It is neither my purpose not my business to defend Dykes as the composer of tunes. What I do say is that he gave “Eternal Father” a tune so suitable that it became almost as official as the National Anthem. Certainly in no ship or navel establishment was any other tune heard. But the English Hymnal, though it gave MELITA , cast aspersions on it by adding “This hymns may also be sung to VATER UNSER.” Now in an average congregation most members could sing MELITA from memory; very few could sing VATER UNSER without book. Songs of Praise goes further; it cast out the traditions MELITA altogether and substitutes a difficult and disagreeable tune called LODSWORTH, which it describes as “English Traditional Melody”; but it allows VATER UNSER as an alternative. What it refuses to give is the tune that everybody knows as familiarly as ST. ANNE. “Onward Christian soldiers” was written by Baring-Gould in 1865 and was printed in Church paper. Sullivan soon set it to a suitable march tune called ST GERTRUDE. 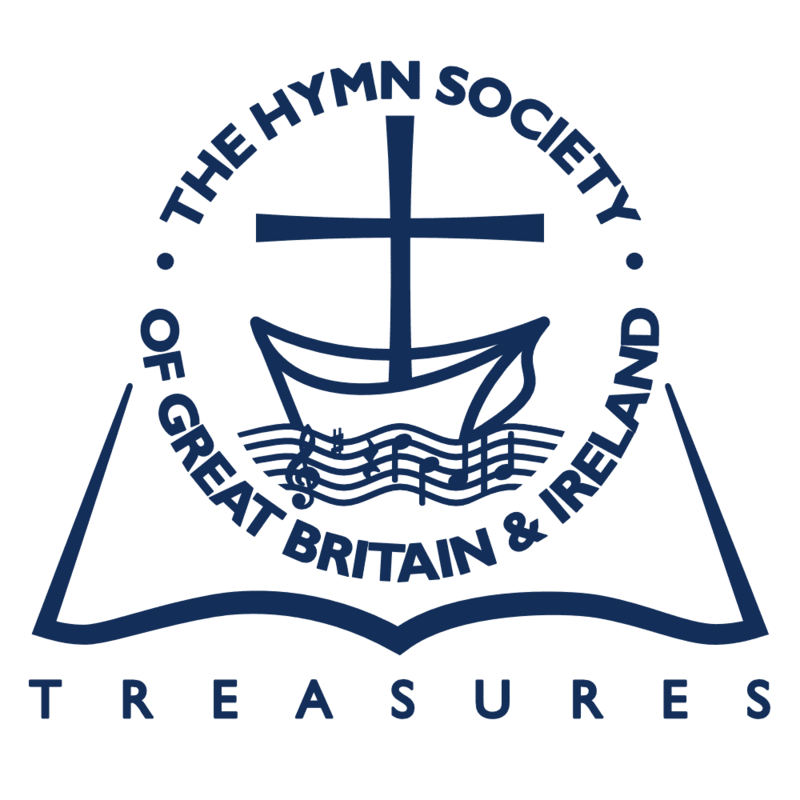 In 1868 it was included in an appendix to Hymns Ancient and Modern where it was allotted two tunes, one by H. J. Gauntlett, and the other by Sullivan. The latter became so popular that it was always used at procession, gathering and out-of-doors services. The English Hymnal also includes the hymns but gives first place to a very feeble Haydn chorale with ST GERTRUDE coming second. Songs of Praise, determined to be modern, banishes all of them, and sets it to something called “an old English march” arranged by Holst. I have narrated the adventures of these two hymns because I want to urge that, when the congregation have grown up to certain hymns and know them literally by heart, those old associations should be respected. Only fanatics would declare MELITA and ST GERTRUDE to be “bad” tunes, which at any cost must be torn from the books and replaced by better. We must not let fanatics loose upon our hymn-books. We shall frighten our congregations away if we try to force upon them strange and alien tunes in place of those they know and love. Remember, hymns-books are made for congregations. a hymn should uplift the singer into closer communion with God. So I beg the planners of a new World-state with a new World-Language and a new World-Religion to deny themselves the pleasure of devising any new World-Hymns. The old hymns are still the best; they will always be sung, and they will continue to be for many people the most powerful force in keeping religion in closets touch with their lives.